No one ever said being a homeowner is easy. It is a tough job. There is always something to do: some home improvement project. There is always something breaking: a leaky roof or a busted pipe. There is always something. Yes, owning a home is a lot of work, but man is it worth it! There is nothing quite like homeownership. There is a certain pride that comes with bettering your home and adding to its value. So what is your next home improvement project? Well, why not consider a new fence? Aluminum fences are low maintenance. Unlike a wood fence, aluminum will never need to be stained or painted. Aluminum fences are rust resistant. They will not rust in the rain or snow, ensuring your fence looks great for a long time. A sturdy aluminum fence is a great way to beef up your property’s security. These fences are anything but easy to climb. 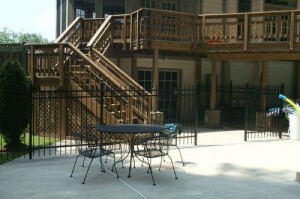 Aluminum fences are also cost effective. They are considerably less than iron. Plus, there is that wow factor. 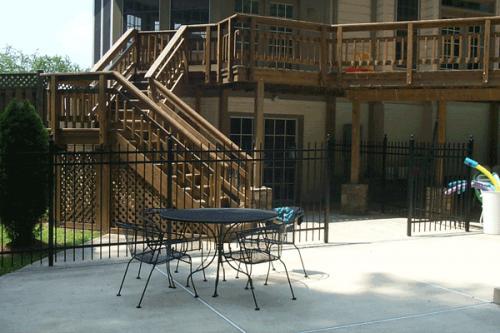 An aluminum fence gives your property a look that is unmatched by other fencing materials. If you think an aluminum fence is right for your home, give the fencing experts at Hercules Fence a call today. We are here to help. With over 50 years in the fence business, Hercules Fence knows a thing or two about fences of all shapes, sizes, and materials. We look forward to hearing from you and meeting your fencing needs! If you have any questions about our blog, “Hercules Fence and Aluminum Fences in Northern Virginia,” please contact Hercules Fence of Manassas, Virginia today by calling (703)551-2609 or visiting our website. Also, check out Hercules Fence of Manassas on Facebook,Twitter, Google+ and YouTube! This entry was posted on Friday, July 19th, 2013 at 2:07 pm. Both comments and pings are currently closed.